In order to bring the host server offline for maintenance and also to maintain optimal use of physical resources, you must be able to move virtual machines without disrupting the business. Windows Server 2008 R2 introduced live migration, which made it possible to move a running virtual machine from one physical computer to another with no downtime and no service interruption. Windows Server 2012 enhanced the migration feature. Live migration in windows 2012 is no longer limited to a cluster. Virtual machines can be migrated across cluster boundaries, including to any Hyper-V host server in your environment. SMB-based live migration. In this scenario, the virtual machine’s hard disk is stored on a central SMB file share. You may then perform a live migration of the virtual machine from one server to another while their storage remains on the central SMB share. “Shared-nothing” live migration. In this case, the live migration of a virtual machine from one non-clustered Hyper-V host to another is possible when the virtual machine’s hard drive storage is mirrored to the destination server over the network. 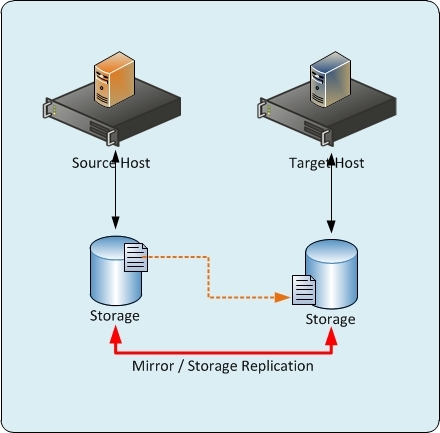 The storage mirroring can be done through any third party storage replication technique. Now you may perform the live migration of the virtual machine from source server to the destination server while it continues to run and provide network services. In both the cases, the virtual network configuration should be identical. “Unable to successfully cleanup” Error while creating Windows 2008 R2 Server. Most of the time, while creating a two node Windows 2008 R2 server Failover Cluster with a low privileged domain account, you might end up with a generic cluster failure error called “Unable to successfully cleanup”. You will be surprised to see that the cluster validation on both the nodes complete without any error or warning!. Most of the cases, this is related to too many ACE’s in the ACL. Most of the time appears while you are creating the cluster with a user having limited permission in active directory. In such scenario, we can try to prestage the CNO and remove inheritable permissions which should reduce the number of ACE’s. Step-1: Prestage a computer account with the name of the new cluster account and disabled it (The account must be disabled so that when the Create Cluster wizard is run, it can confirm that the account it will use for the cluster is not currently in use by an existing computer or cluster in the domain). Step-2: From Active Directory Users and Computers, right click the Properties of the Prestaged cluster account. Click on Security Tab and then click advanced Button of the Accounts. Clear the checkbox Allow inheritable permissions from parent to propagate to this object and all the child objects. Select Remove when the Security dialogue box opens.